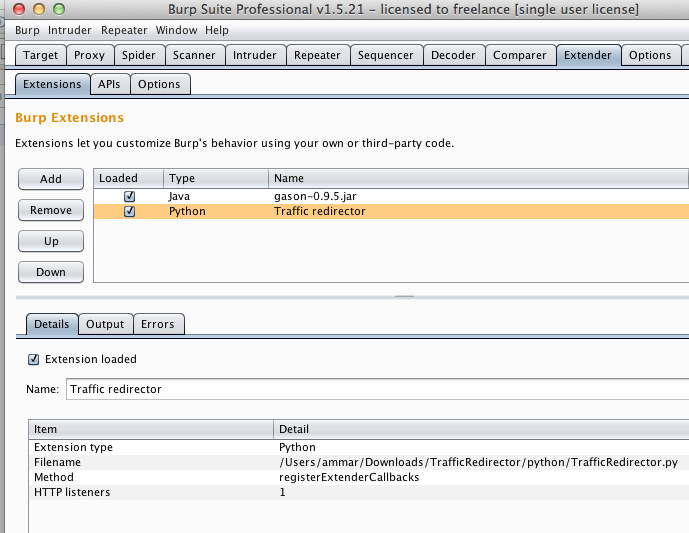 Life, family, & computer - nobody ®: Burp Extender: Target IP Changed during pentest. 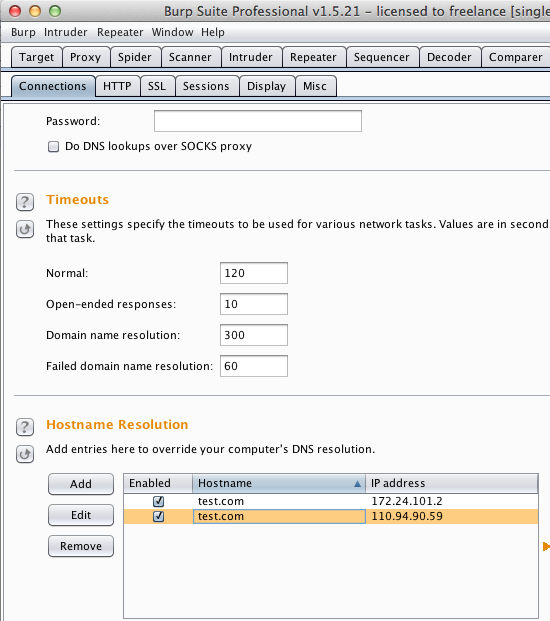 Fortunately there is an easy solution, with only one simple extension called "trafic redirector", see the details here, we should be able to redirect the traffic. At first i choose the java extension, but after compiling it into .jar and try to load it, i get "strange" java error, so i use the python version, and to use it we only need to modify the address from the "TraficRedirector.py". 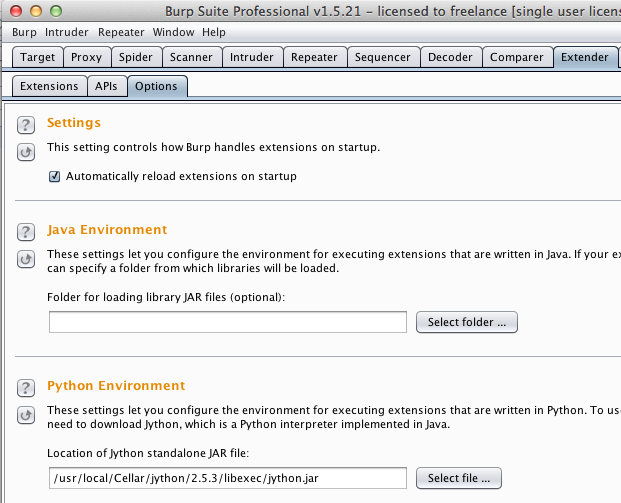 To run the python extensions under burp extender, you need to install jython in your machine, and for Mac users, you can just use brew to get jython installed on your machine. Ok now, we are good to go.